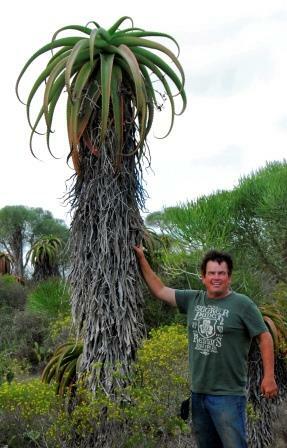 Kelly Griffin presents some of the strange, beautiful and wonderful plants (mostly succulent) that he has had the good fortune to see in his travels, sharing his passion to observe plants in the wild in order to understand how they grow, and under what conditions. 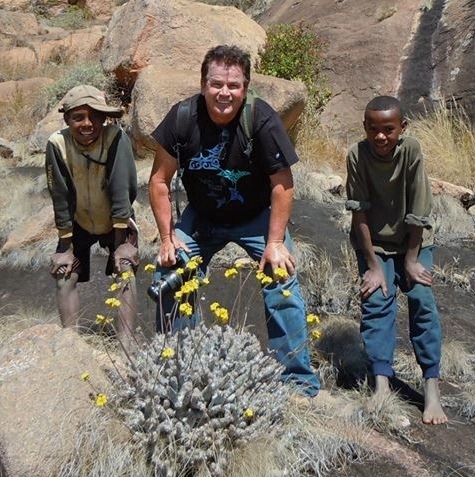 He will share insights into the plants and habitats that are not well known. Kelly is manager of Succulent Plant Development for Altman Plants, the largest producer of succulents in the country. His inclination has been towards agaves, aloes and echeverias, but there are many more plants that have garnered his attention. As part of his life's work, he has introduced over 100 succulents and created many cultivars that have been nudging their way into gardens and patios. Some of his aloes that might be familiar to you include ‘Christmas Carol’, ‘Coral Edge’, ‘Angelo’, ‘Carmine’, ‘Vinnie’, ‘Pink Blush’ and ‘Grassy Lassie’ and his variegated agaves include ‘Blue Glow’, ‘Sun Glow’ and Agave guiengola ‘Creme Brulee’. Kelly holds a degree in Applied Physics, but his love of plants continued to steer him towards horticulture as a career. Prior to his current position with Altman Plants. He was Curator of Xerophytes at Rancho Soledad Nursery where he was responsible for finding and creating new and different plants that could be utilized in garden settings. He has travelled extensively worldwide documenting plants and collecting seeds for propagation.